I cannot stand his books! If you haven’t had the pleasure of reading one, here is how THEY ALL go…there is a tragedy, and due to the tragedy, someone falls in love. Now, you have no reason to ever have to read one his books! Sparks has written tons of books, they have all been on the New York Times Best Seller’s List, and he has sold over 100 million copies. So clearly, my feelings about his books are not the majority. People like them. They buy them. LOTS of them. As a graduate student in School Librarianship, I have been recently struggling with how to teach content in the library while not crushing the potential spirit of readers. With so much emphasis in schools on test scores and data, how do you maintain student’s excitement? 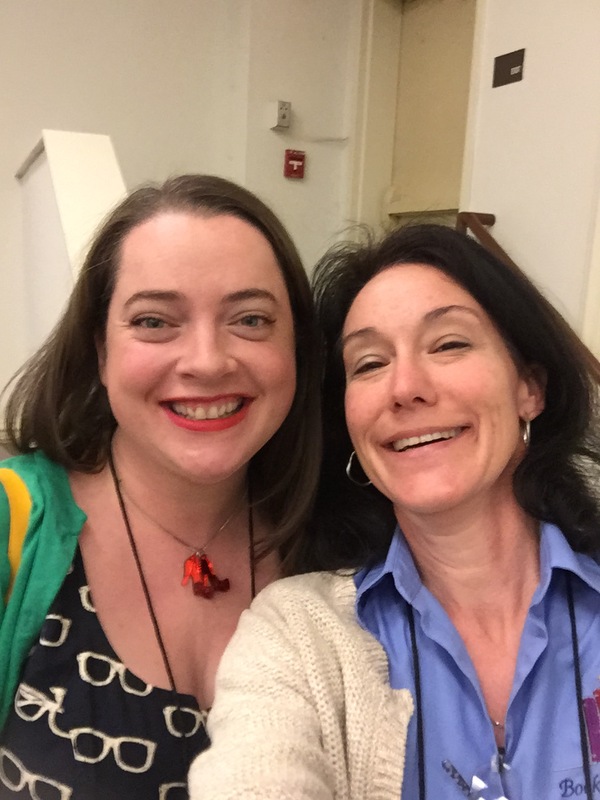 Margaret Willison was Thursday’s keynote speaker at VAASL and she is funny! And what I took away from her presentation is that people are going to read what they like. It may not be what you like or perhaps even millions of people worldwide like, but for them, there is value in what they are reading. So, instead of promoting certain books, promote the love of reading for there is certainly value in the love of reading. We all have our things. Sparks certainly isn’t mine. But I LOVE the Confessions of a Shopaholic series by Sophie Kinsella. And while the basic plot is the same in that series just like Spark’s books, I gain huge value in the pleasure of reading. Conference was awesome. 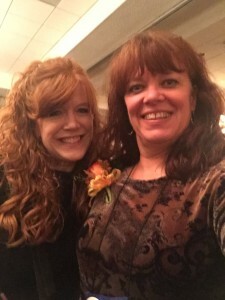 In three days, I attended 13 sessions, two keynote speakers, and an awards banquet. I came home exhausted and excited. It was great to see and meet all of these super people. I also met some of the people whose names I see on the listserv. I like having faces to go with the names. I got new ideas to use immediately and new visions to add to long term goals. I want to add a newsletter to our monthly report. The monthly report goes to administration. I want to post a monthly newsletter on our library website for students, parents, and teachers. 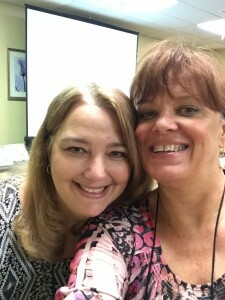 The conference was great professional development. It is important to always keep learning and growing. 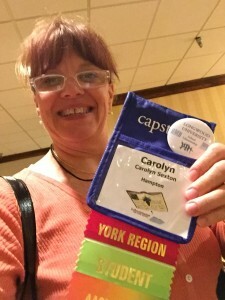 I learned so much at the VAASL Conference in Williamsburg. I picked up a wealth of ideas, resources, and contacts to take back to my school. Some of the highlights included keynote speakers Shannon Miller and Margaret Willison, but my absolute favorite was YA author Maggie Stiefvater. As a first-year librarian, this conference was very valuable to me and I hope to return every year! This past weekend I had the pleasure to attend a wonderful conference. 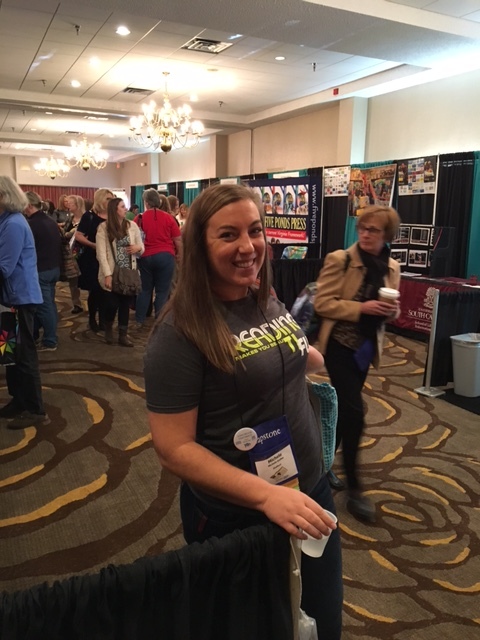 I attended the VAASL conference in Williamsburg, VA. This was my first time attending the conference and I was amazed at everything the conference had to offer. There were so many amazing session titles and descriptions that it was difficult to choose just one! Each session I attended, I learned something new, innovated and exciting. This year the keynote speakers, Margaret Willison and Shannon Miller were just amazing. Hearing them speak gave me encouragement to be able to do great things in the library. I am not yet a librarian, but I am definitely excited about becoming a librarian in the near future. One of the take aways from a session I attended, was using the library in math class. I am currently teaching math and it can be difficult to incorporate the library and it can get boring with the every day worksheet. The session showed me how to incorporate fractions of words to create new words that would form book titles. I loved this and immediately thought I could do this right now in my class. So yesterday, Monday 11/23/15, my students were fully engaged in this activity. I invited my principal into my class to see my new knowledge in action! 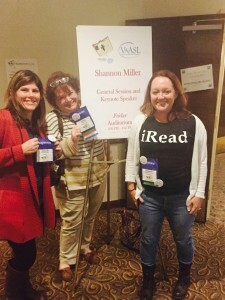 I cannot wait to attend VAASL next year! 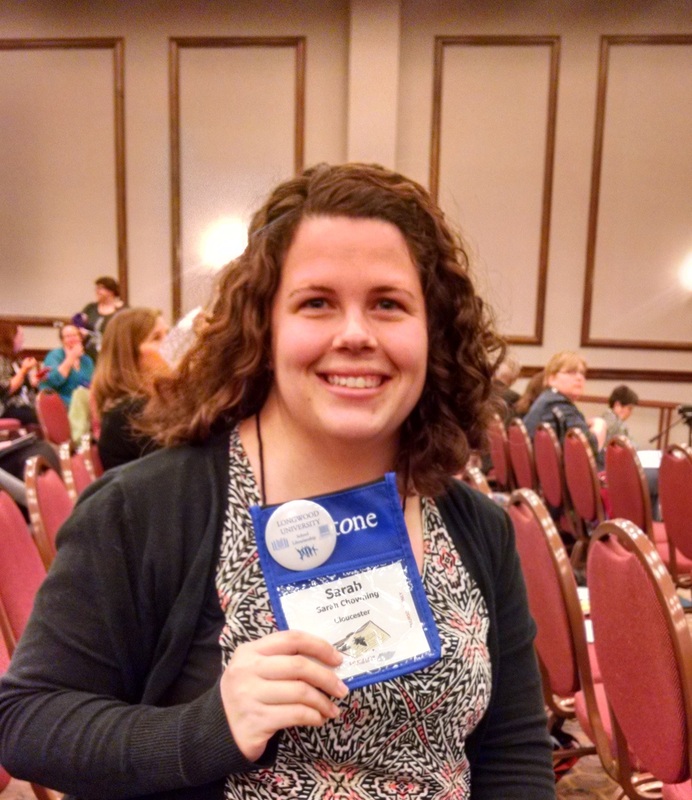 This year’s VaASL conference was very well-organized and informative. Highlights of the conference were keynote addresses from Margaret Willison, pop culture guru, and Shannon Miller, an Iowa librarian who isn’t afraid to try anything and has a passion for the students and teachers with whom she works, and the Friday night author banquet with Maggie Steifvater, author of the Shiver trilogy and The Scorpio Races, who kept us in stitches with her 8-chapter life story. They were each very entertaining and approachable. I learned something from each session I attended, including amazing websites from Heather Moorefield-Lang, Karla Collins, and Audrey Church, that I will share with students and teachers at my school. Other topics that will help me improve our library were about diverse book selections, how to host a poetry slam, handling 1:1 implementation, teaching summarization, and making over your website. I even learned a lot from visiting various vendors (Alexandria, Follett, Mackin, Worldbook, Gale Cengage, and Library of Virginia) in the exhibitor hall. I will definitely attend next year’s conference in Norfolk!